Many bucket lists include coming to Colorado to climb a “Fourteener”, the name fondly given to any of the 54 mountain peaks here that top 14,000 feet in elevation. Newbies are encouraged to start first with Grays Peak, as it is a climb that is straight-forward and relatively easy for the inexperienced adventurer and will give the mountain climber a positive experience to remember. Such is the case with the Grays Peak Infinity Scarf. I am often asked to create patterns for newbies that don’t require a lot of technical expertise, but still creates a fun experience and an accessory that the new loom knitter would be proud to wear. 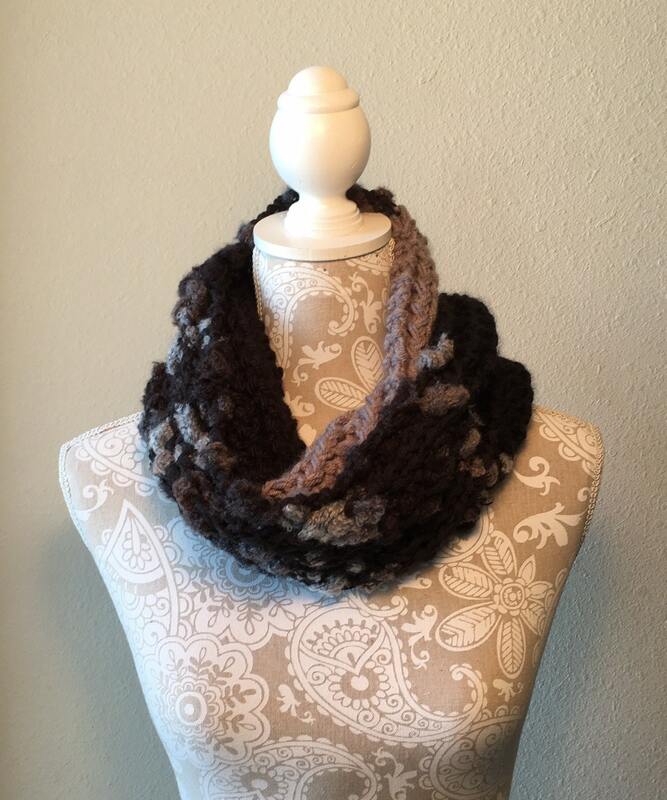 This scarf is knit with mostly e-wrap stitches and a few purls thrown in for variety. 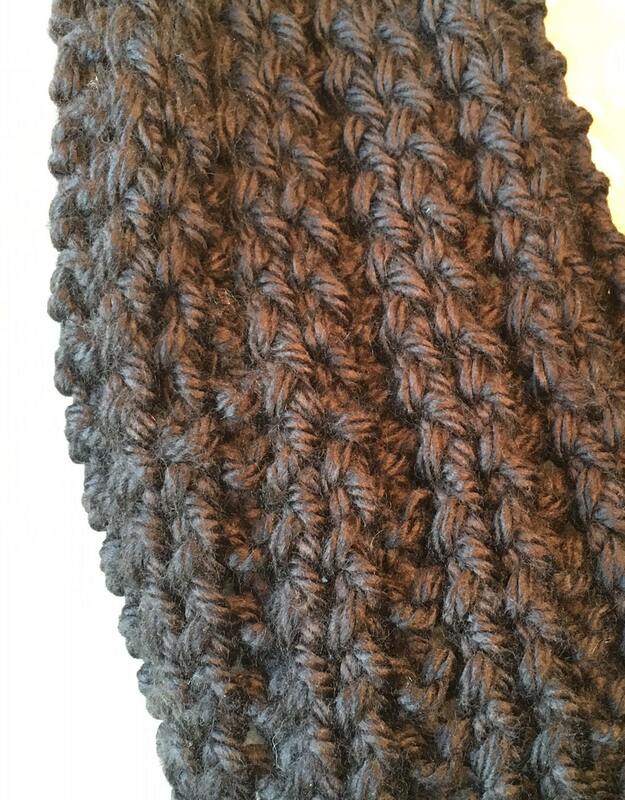 It is knit with a simple 2-row repeat, making it easy to memorize and quick to knit. 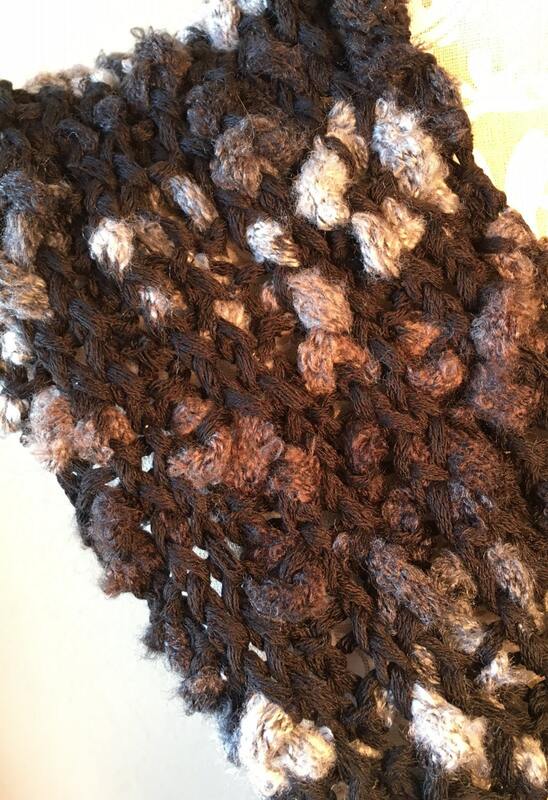 The fun of this scarf is picking a funky yarn to feature. The funky yarn in the sample was Department 71’s Thrill yarn (one skein of 55 yards, purchased at www.herrschners.com). This is a “thick and thin” yarn. 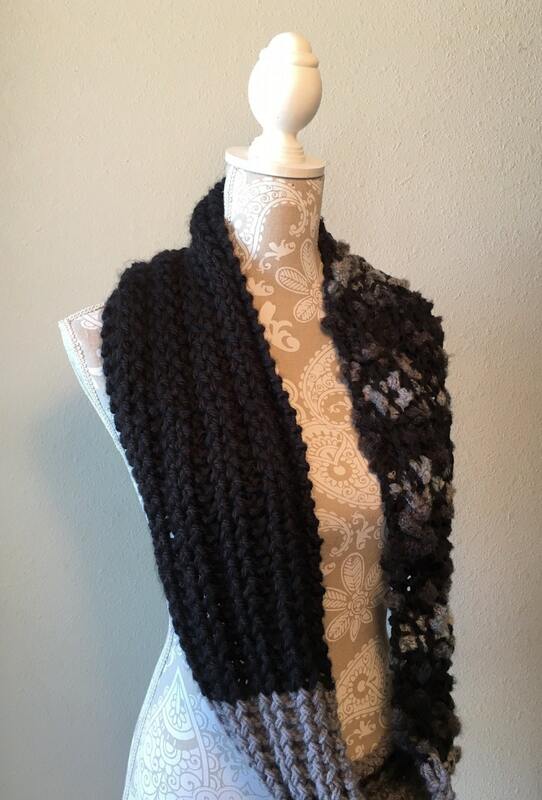 The balance of the scarf was knit with Lion Brand Hometown USA yarn (approximately 2 skeins, 81 yards each). These yarns are all super bulky. In total, approximately 200 yards of super bulky yarn is needed to create your own Grays Peak. 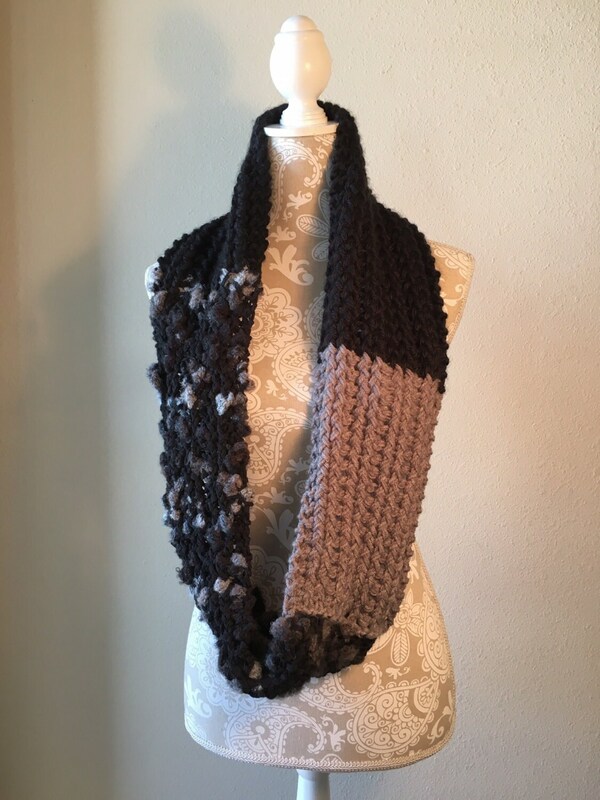 Or, if you prefer, knit the scarf with just one color of super bulky yarn and let the stitch pattern create a beautiful scarf. This pattern is suitable for a novice loom knitter.